What comes in your mind when we talk about life insurance policy in India? Most of us would think about Life Insurance Corporation (LIC) as it is one of the oldest and most trusted life insurance policy provider in India. In this article, we will discuss Best life insurance company in India. This analysis is done based on the various criteria and hence it will give you the accurate picture of the company. Most of the time, we look at the claim settlement ratio only to determine the insurance company. This way you will not get the best insurance company for life insurance policy. Claim settlement ratio in isolation will not give you accurate picture of the company. So there are chances that you may end up selecting the wrong company for life insurance policy. Secondly, Life insurance policy are generally for long term say for example, most of the life insurance policies are ranging from 20 years to 30 years. So judging the company only on the claim settlement ratio is not enough. There are chances that the claim settlement ratio of X company is better this year but the same is worst in the coming years. What will you do in such scenario? For selecting best life insurance company, I have taken below mentioned criteria and assigned them points based on their position in that particular criteria. I will explain the point system in details for the individual criteria. Insurance Regulatory Development Authority of India (IRDAI) has released the annual performance report for 2017-18 on 09.01.2019. The report is available in Hindi and English language. The report contains some of the important facts and figures like, total number of policies, type of policy, IRDAI claim settlement ratio 2017-18 and many more. For this article I will stress upon IRDAI claim settlement ratio 2017-18 to derive the 5 best life insurance company. Claim settlement ratio is one of the major criteria you should check before finalizing insurance company. In this article, we will look into claim settlement ratio and other major data points to derive the best life insurance company in India. Before going ahead, let’s understand what is claim settlement ratio? The claim settlement ratio is the percentage of the claims settled by the insurance company against the total number of claims received from the policyholders during the financial year. I have written a detailed article on claim settlement ratio and importance in selecting life insurance policy. you can read the same here. The claim settlement ratio plays a major role in determining the reliability of the insurance company. Higher the claim settlement ratio, better the reliability of the company. From the above chart it is clearly coming out that Max Life insurance has the highest claim settlement ratio of 98.26% for the financial year 2017-18. As mentioned above, I have assigned points for each criteria and so in this case the table on which the criteria is assigned is as below. As you can see there are different slabs for different points. For example, claim settlement ratio higher than 98% will be awarded with 5 points. Same way for claim settlement ratio between 97% to 98%, 4 points will be awarded. See the last column in the above table of claim settlement. The points based on this table is assigned against each insurance company. As per the point system, Max Life, LIC and Tata AIA are awarded 5 points as their claim settlement ratio is > 98% for financial year 2017-18. This criteria I have taken to understand the company’s ability of generating new business in the financial year. This will tell us that the company is reliable and is able to fetch the new business from the market. 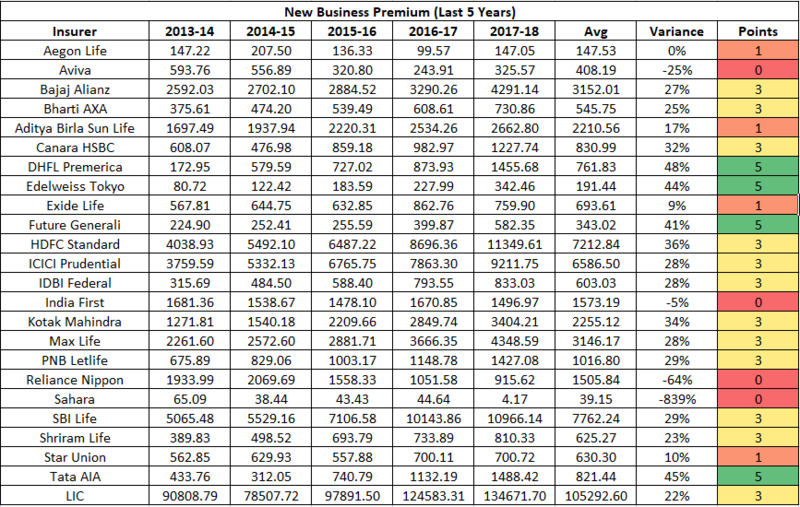 For the calculation purpose, I have taken the last 5 years average of the new premium collected by these 24 insurance company. Then the same is compared with the last financial year’s performance. There is points assigned based on the below table. As you can see the DHFL, Tata AIA, future Generali and Edelweiss Tokyo has done the maximum business in the last year as compare to its last 5 years average business. This signifies that these companies are able to sell their life insurance plans in the market due to either they have good and attractive plans or because of their brand value in the market they are able to get the good business. Have you ever wonder how likely you will get your money back if the insurance company will able to fail to pay the claim due to financial crisis? Yes, this scenario can occur. Most of us are not thinking that the premium you are paying for years will be lost in case the insurance company defaults. Think of the situation where a massive earthquake or any other natural calamity took place and there will be many losses of life. The insurance company then will be under tremendous pressure to pay the claims which has sudden arise due to the natural calamity. Under such circumstances, the insurance company is obliged to pay the claims, but what if it genuinely cannot pay the claim due to sudden cash outflow? What if they become insolvent? This where the solvency ratio comes in the picture and its very crucial component to consider when deciding your insurance company. The solvency ratio of the insurance company is the size of its capital against the all risk it has taken. In a layman’s language, it is all assets – all liabilities. Means, how much the company has in assets versus how much it owes. You can say it is the measure of the company’s financial soundness when it comes to paying the claims. It helps you as an investor to measure the company’s ability to meet its obligations as and when come. Here don’t get confused between solvency and liquidity ratio. Liquidity is a measure of firm’s ability to pay short-term debt while solvency is the ability to pay all the debt including long-term debt. It is an indicator of the insurance company’s long-term survival. As per the IRDAI’s guideline, all insurance company has to maintain a minimum 1.5 solvency ratio at all the time. How the solvency ratio is calculated? The solvency ratio is derived out of the subtraction of the total assets – total liabilities. There are various factors which goes into the calculation while deriving the total assets and total liabilities, so it is not that simple as it seems to be. The insurance company has to prepare and publish solvency ratio quarterly. The insurance company, whose solvency ratio is dangerously close to the minimum level are closely watched by the insurance regulator i.e. IRDAI. The solvency ratio is available in the annual report published by IRDAI and on the portal of the respective insurance company. 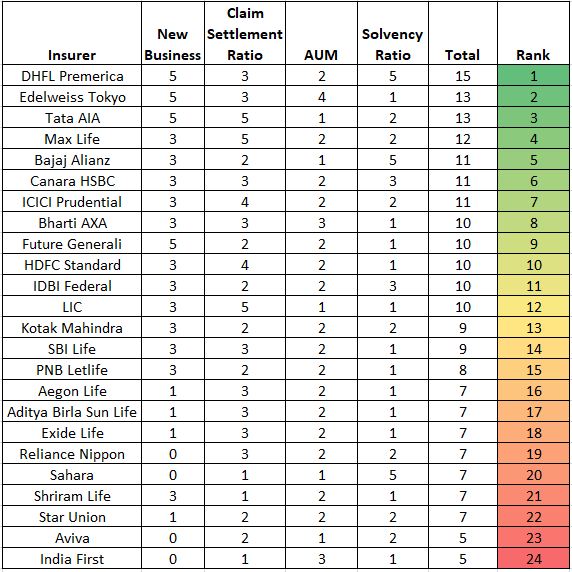 As of March 2018, all the 24 insurance company have published their solvency ratio and among them, Sahara India has the maximum solvency ratio of 9.02 while LIC has the lowest solvency ratio of 1.58. The points are assigned as per the table mentioned above. As informed earlier, solvency ratio is crucial aspect but it should not be viewed in isolation. Higher solvency ratio is definitely a good indicator for the policyholder as it gives the sense of security and comfort that the risk is backed by the assets of the company. Have you ever wonder what the insurance company is doing with the money they are collecting from us as a policy premium? They are investing this corpus in various financial assets. There is a positive co-relation between premium collected from the market and the amount being invested in the various financial assets. Higher the premium collection, higher the investment by the company. You should check the total corpus of the company before finalising it as your insurer. This will give you a sense of security that the company has invested your money in different assets and will give your money back when you claim. 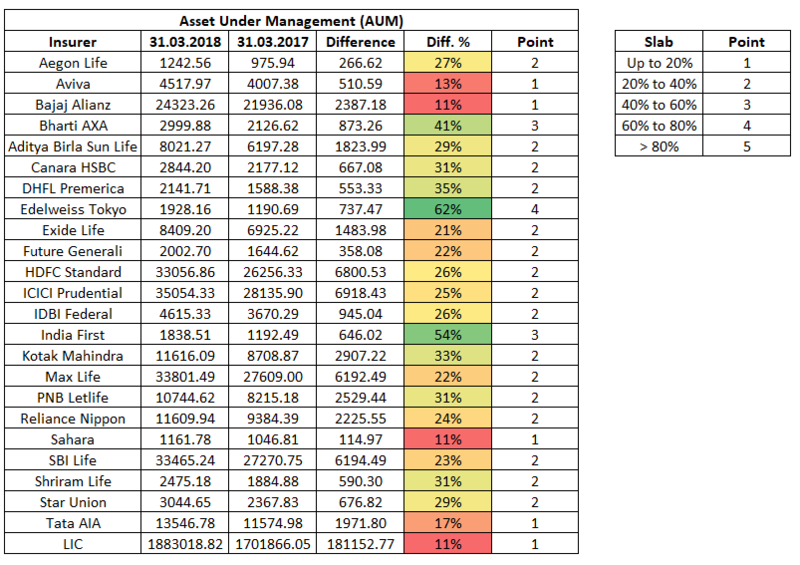 For the calculation, I have taken the last two years AUM and derived its growth in the AUM. Accordingly I have assigned points to the company on the scale of 1 to 5, 5 being highest. As per the above table, Edelweiss Tokyo and India first are the top two companies who has shown highest growth in the AUM for the year ended march 2018. 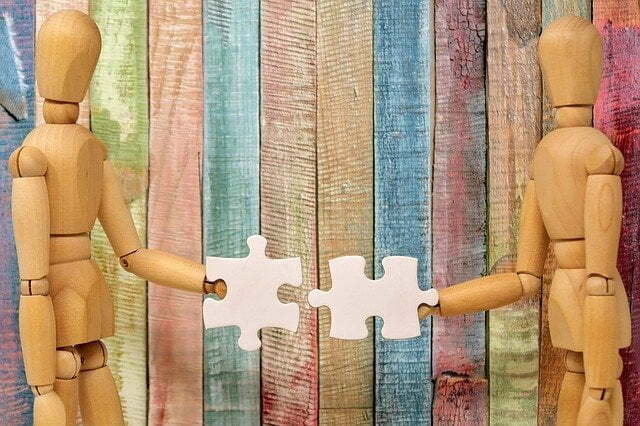 Grievances are the indicator of how good company is handling their customer’s query. Majority of the queries are pertaining to claim settlement issues. This is to give you an idea that if you need to get in touch with your insurer, how good it will treat you in terms of the customer service. 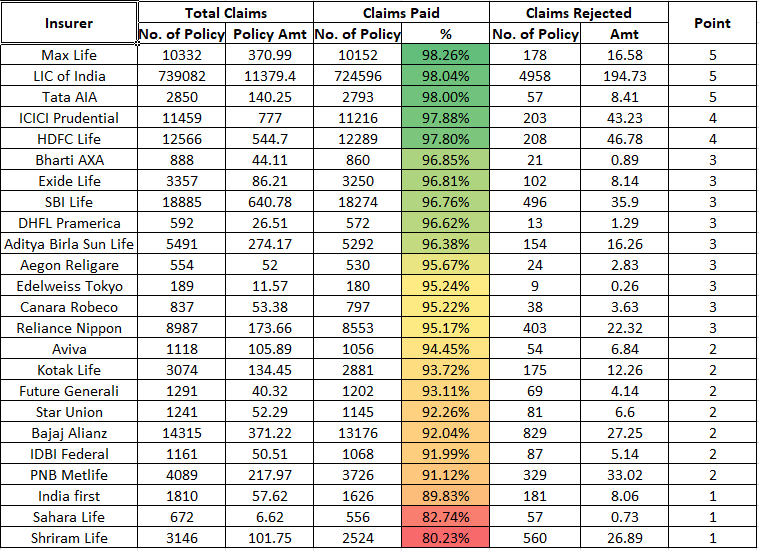 In the below table, I have mentioned the number of complaints for each insurance company. I have not assigned any points here as I can’t find any relative indicator like total number of policy for the year. So higher complaints doesn’t necessarily a bad one because that company might be doing higher business and handling huge customer base. Based on the above five criteria and the points I have assigned to them, here is the compilation of the points and after doing sum of all the points gained for the various criteria. 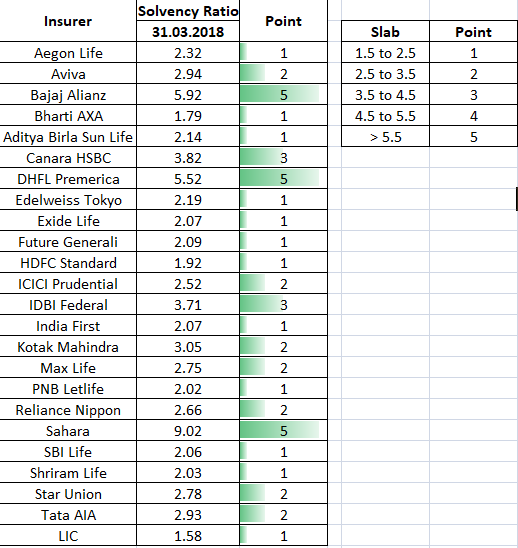 Below is the final ranking chart of the insurance company based on the five parameters. This analysis is based on the fact and figures available on the IRDAI’s website. You may still do your own analysis to find out the best life insurance company in India. Next articleHow to Select Liquid Fund? 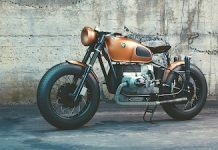 Why you should not invest in Unit Linked Insurance Plan (ULIP)?